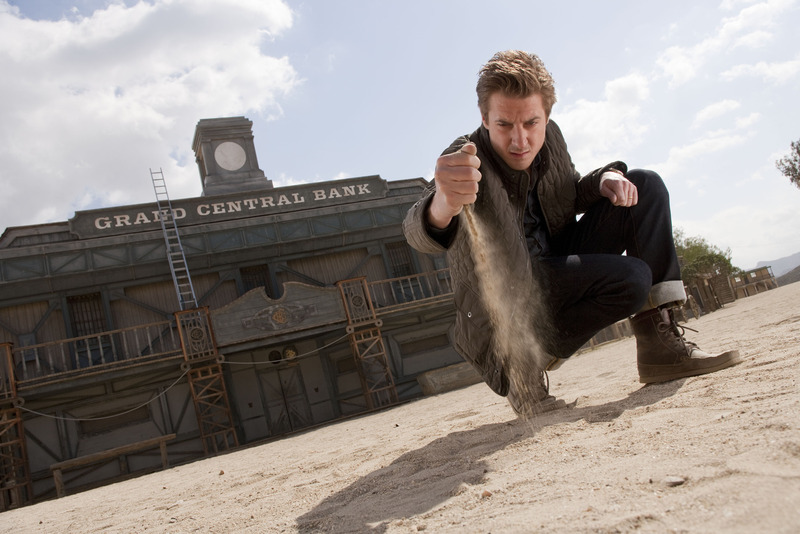 Out of the five episodes that we’ll be seeing in the first part of series 7 of Doctor Who, it was always “A Town Called Mercy” that I was looking forward to the most. 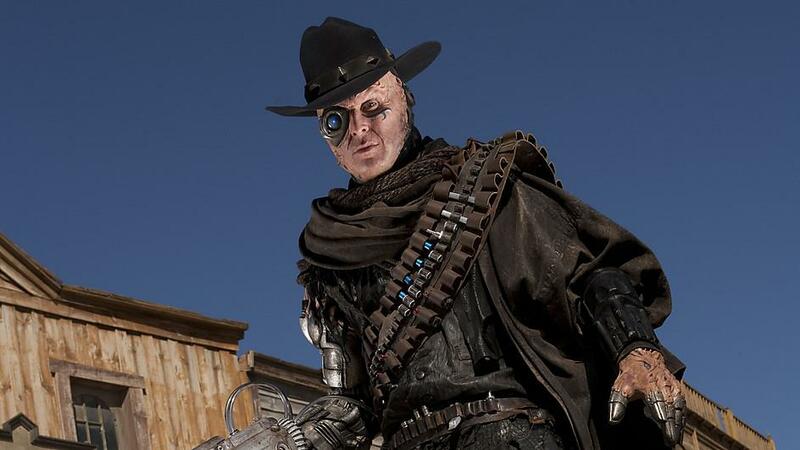 I absolutely love anything to do with the Wild West and I’m pretty partial to cyborgs too. 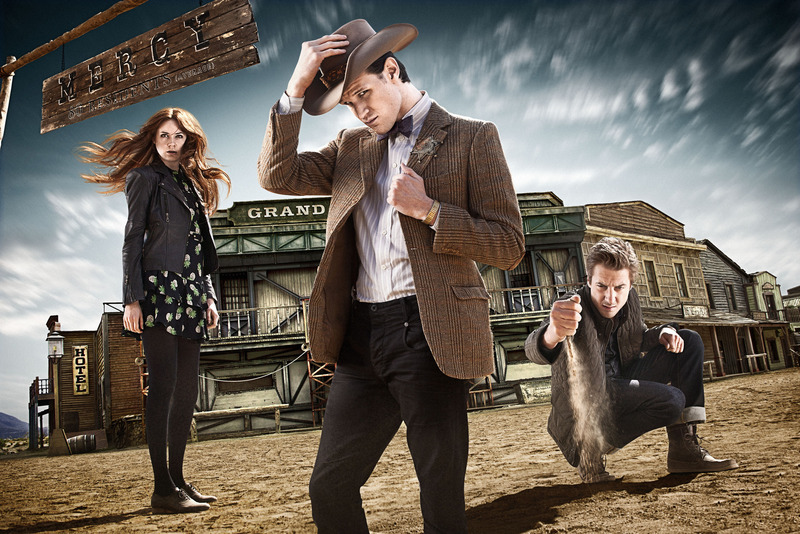 A cyborg, The Doctor and a Frontier town called Mercy? Sounds like my cup of tea. 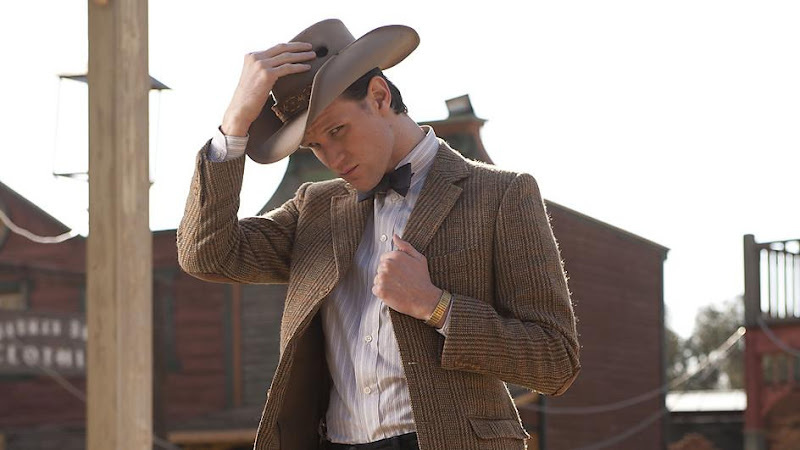 In “A Town Called Mercy”, the Frontier town has recently fallen siege to a lone gunslinger who demands that “the alien doctor” be delivered to him, but all is not what it seems. Can The Doctor sort it out without losing his mercy altogether? I loved this episode. It was one of those episodes where I was immediately aware of how much I was loving and enjoying it and I know why too, so without further delay, let’s dive right in. Two words, Toby Whithouse. Toby is creator, writer and executive producer of Being Human. In short, he is a genius and I absolutely love his writing. When I saw that he was writing “A Town Called Mercy”, I knew I wouldn’t be disappointed. 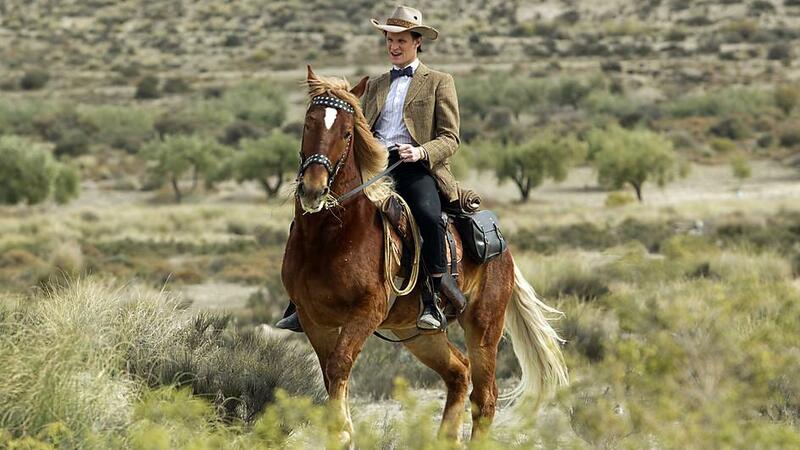 This is the man who reunited The Doctor with his beloved Sarah Jane Smith, after all. Expectations aside, I felt that the writing was a lot tighter and the plot made sense for the first time in a long time. “A Town Called Mercy” was truly scary at times and I loved the twist in which the roles of friends and foes was so easily reversed. I liked the set design and costumes in this episode. 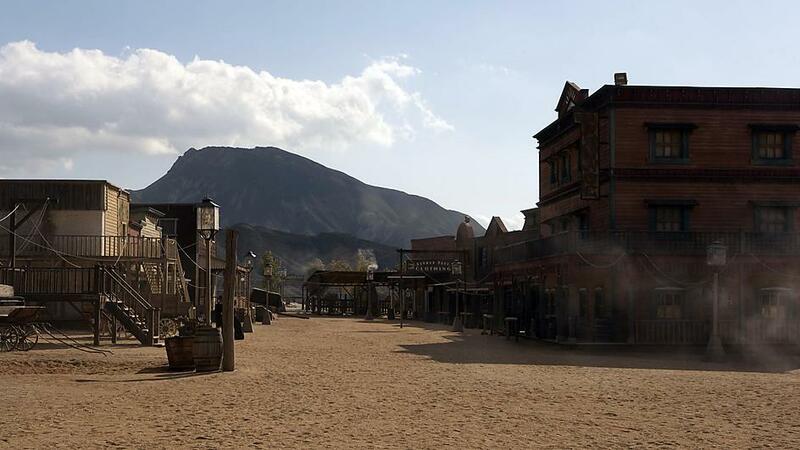 Like I said, I have a fascination with the Wild West and I quite liked this town of 81 residents, with its dusty roads and wooden buildings. (Okay, I admit, how hard can it be? But I liked it, okay?) I liked the Stetsons and other assorted hats and costumes with the sole exception of poor Sadie (Joanne McQuinn). That was one horrible corset. I really enjoyed the guest characters in this episode. Ben Browder (Farscape) was divine as Marshall Isaac. He’d barely made his entrance when I decided that I liked him very much indeed. 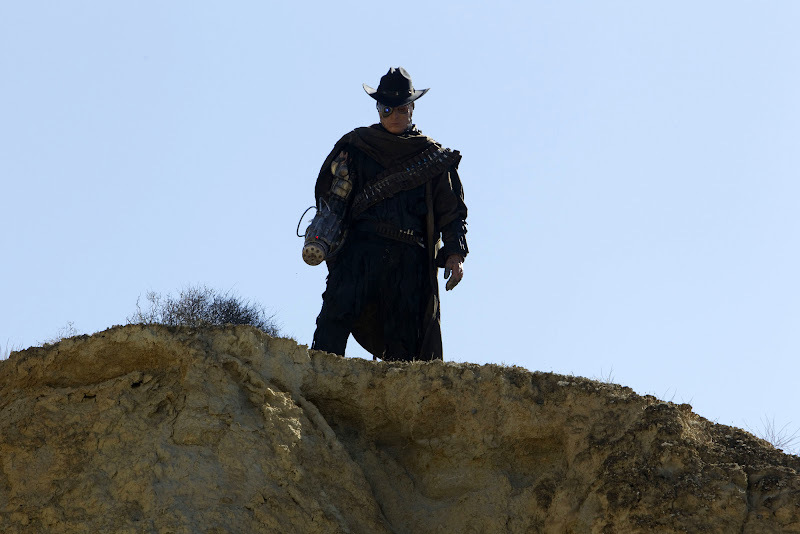 I liked this smart, witty sheriff who commanded the utmost respect of the townspeople while maintaining his integrity. Oh, alright, I’ll admit it: I thought he was pretty easy on the eye too. One thing I really liked in this episode was the accents (including Isaac’s) and it seemed to me that the fabulous Western drawls accentuated the Doctor’s own accent. Another character I quite liked was Dockery (Sean Benedict). Perhaps we’ll see more of him on UK television screens now that he’s living in London? I certainly hope so, he was good. 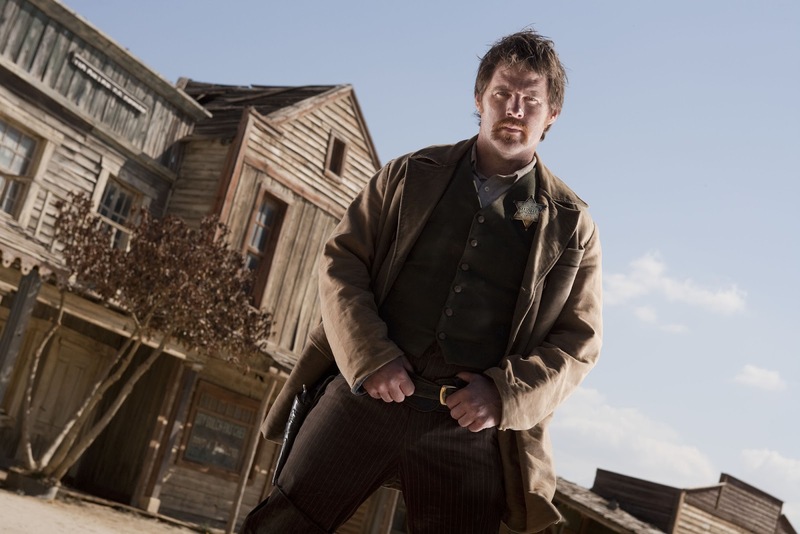 I really liked Andrew Brooke as The Gunslinger. I thought his costume was brilliant, as was his cyborg interface, and I really liked his backstory and resolution. Well, I managed to say all of that without divulging any spoilers, which wasn’t as easy as I originally thought. I really enjoyed the dialogue in this episode. It wasn’t as witty as “Dinosaurs on a Spaceship” but a lot of it was really clever and quite significant. The Preacher (referring to the horse): “He’s called Joshua. It’s from the Bible, it means ‘the deliverer’”. The Doctor: "No he isn't". The Doctor: "He's called Susan and he wants you to respect his life choices". The Doctor: “Today, I honour the victims first. His, the Master’s, the Daleks’. All the people who died because of my mercy”. The Doctor: “Frightened people. Give me Daleks any day”. The Doctor: “You committed an atrocity and chose this as your punishment”. Kahler-Jex: “We all carry our prisons with us. Mine is the past, yours is your morality”. I liked that after skirting around the issue for some time, they finally broached the subject of The Doctor’s mercy, his morality and his purpose. It had seemed in the previous two episodes that he (and the writers) had forgotten all about it but I really loved that his current crisis of conscience was linked directly to his guilt over those he had failed. It was absolutely fitting, too, that it was Amy that reminded him of that. When she told him that this was not what we are all about, it was a statement of how much The Doctor has always needed his companions to link him to humanity. That is what he loved about humans: our hope, our capacity for forgiveness and our mercy, and that is why he stood apart from the rest of the Timelords with their single-minded brutality. What was especially refreshing was that Amy was focused on The Doctor at all and not on breaking Rory’s heart or feeling that she’d somehow let him down. In other words, I give away the ending here! It wasn’t a complete lovefest with this episode but it was pretty close. I didn’t like that Kahler-Jex (Adrian Scarborough) killed himself in the end. Granted, The Doctor did not kill him and neither did The Gunslinger which means that the themes of mercy and restitution were resolved but I still don’t like it. What it means is that the audience did not forgive him and thus participates in his judgement and execution. Not only is that bad form for a children’s show (I know, there are those of you who deny that it is) but it is inconsistent with the entire message of the episode, never mind the show. 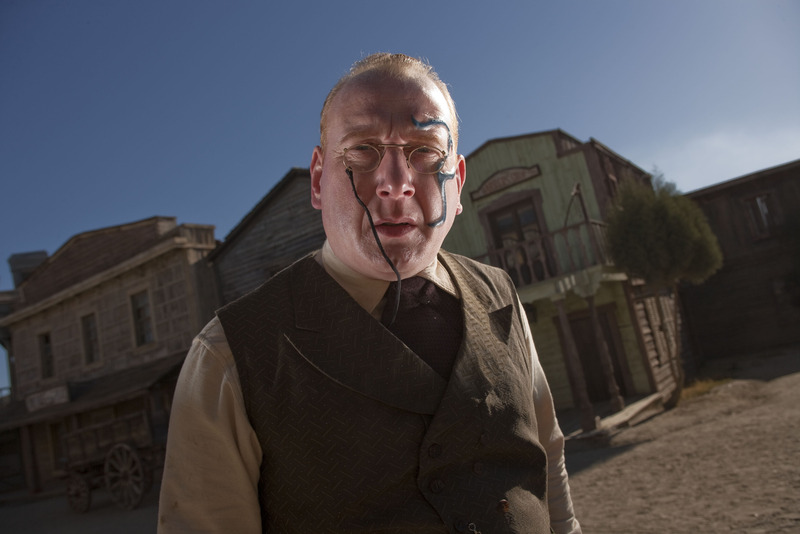 Given my love for Toby Whithouse though, I try to think how else it could have ended. And the answer is that Kahler-Jex should have met his punishment in a manner consistent with the traditions of his planet. In other words, he should have been handed over and imprisoned. Amy and Rory declined further adventures with The Doctor at the end of the episode, warning that their friends would soon notice that they were aging faster than them. So it is off back to Earth in the next episode “The Power of Three” and then the Weeping Angels return in “The Angels Take Manhattan”. 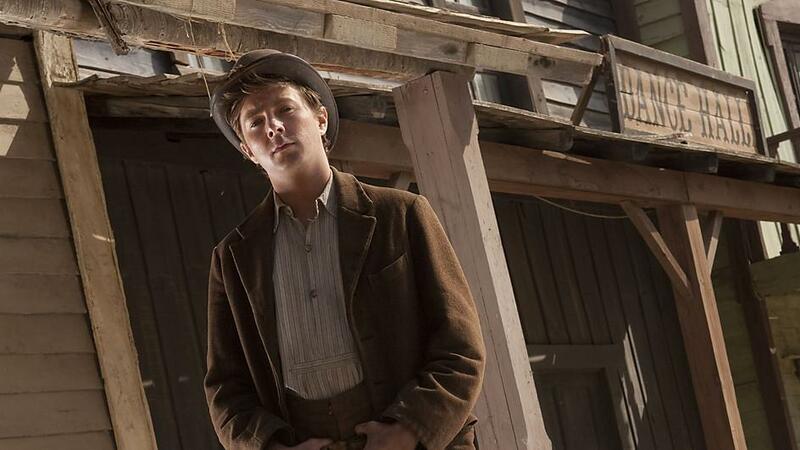 If you’ve missed my moaning and don’t know what is happening in “The Angels Take Manhattan” then I’m not going to bring it up again but there’s not much I can predict in the space of two episodes. I have a feeling that “The Power of Three” is going to be my least favourite type of Doctor Who story: unidentified yet surprisingly evolved and effective alien attack on Earth where we never quite figure out why they’re doing it or how no one noticed it coming in the first place. Having said that, I’ve always quite enjoyed Chris Chibnall’s stories (he wrote last week’s “Dinosaurs on a Spaceship”) and it is a chance to see Mark Williams as Rory’s dad again, so maybe it’ll be okay? Maybe we can also look forward to more Hitchhikers Guide to the Galaxy allusions too? I love your quotes! That is how I stumbled across your blog, searching for something specific from "Dinosaurs...". The missing one I appreciated this week was "Violence doesn’t end violence, it extends it." Aaaah, I'm glad you liked it Richard! I aim to please. I really enjoy the one liners in our UK telly programmes. And yes, that quote is really good. That's really interesting Ben! Well, here's hoping you enjoy the next two more. I'm in two minds this week of whether I'll enjoy this one!